Crémant wines? Buying Crémant wines quickly and safely! Le Connaisseur sells Crémant wines from Ackermann , Barmes Buecher , Martin Zahn , Baumard and Dopff . If you are looking for a Crémant wine that is not on our website please contact us. Crémant wine is a sparkling wine made in the same way as Champagne. Crémant wine can be found in Burgundy, Alsace, Loire Valley and Bordeaux among others. 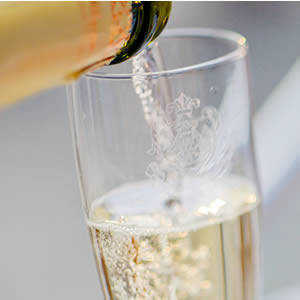 Winemakers use almost the same traditional way of wine making as they use in Champagne to produce Champagne. Wine goes through the fermentation process twice. During the second fermentation, while the wine is already in its bottle, wine makers add sugar and yeast. They produce carbon dioxide making the liquid sparkling forming bubbles while sugar transforms into alcohol. Crémant is an inexpensive and nice alternative to Champagne.